August has historically been one of the deadliest months for drivers to be on the roads in Washington state, and that alone could be the reason for the Washington Traffic Safety Commission’s latest “Drive Sober or Get Pulled Over” campaign that ran from August 16 through September 2. Funded by a grant from the Washington Traffic Safety Commission (WTSC), law enforcement agencies all over the state spent the second half of August patrolling the state of Washington in hopes of removing as many drug and alcohol impaired drivers from the roadways as possible. In 2011, drunk driving accidents resulted in more than 150 deaths in Washington state. According to a recent announcement from the WTSC, officers throughout the state were able to arrest 1,420 drivers on suspicion of driving under the influence of alcohol or drugs (DUI). In King County, law enforcement officers were able to net 292 drivers for suspicion of DUI. Last year during the same period of time, officers arrested an estimated 374 people on suspicion of DUI. 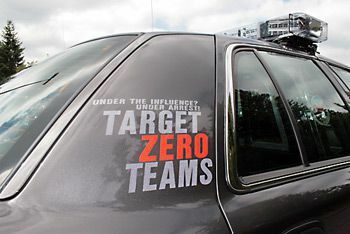 The extra DUI patrols are part of the WTSC’s Target Zero campaign, which aims to eliminate deaths and serious injuries from car accidents by the year 2030. For more information about the Target Zero campaign, visit www.TargetZero.com or head on over to the Washington State Traffic Commission website. The results are in from the recent Drive Sober or Get Pulled Over DUI enforcement campaign conducted from Aug. 16 through Sept. 2. In King County, preliminary numbers show that 292 motorists were stopped and arrested for driving under the influence of alcohol or drugs, and statewide, law enforcement officers arrested 1,420 drivers for DUI. Last year in King County during the same time period, officers on routine and extra patrols arrested 374 people for DUI. In King County, the Auburn, Bellevue, Black Diamond, Burien, Clyde Hill, Covington, Des Moines, Duvall, Enumclaw, Federal Way, Issaquah, Kent, Kirkland, Maple Valley, Mercer Island, Newcastle, North Bend, Port of Seattle, Redmond, Renton, Sammamish, Seatac, Seattle, Snoqualmie, Tukwila and Woodinville Police Departments and the Washington State Patrol participated in the extra DUI patrols, with the support of the King County Target Zero Task Force. The extra patrols were funded by a grant from the Washington Traffic Safety Commission. These patrols are important because August is one of the deadliest months on Washington’s roadways, including all causes of traffic fatalities. These and all extra patrols are part of Target Zero—striving to end traffic deaths and serious injuries in Washington by 2030. For more information, visit www.targetzero.com. Additional information on the Washington Traffic Safety Commission can be found on the website, www.wtsc.wa.gov.